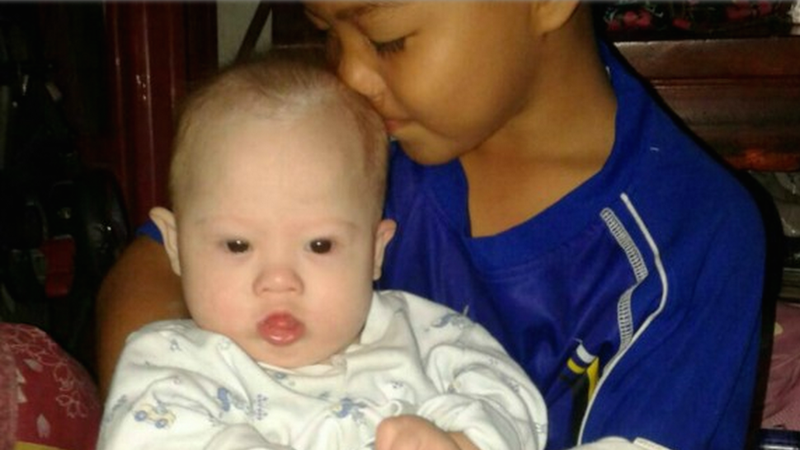 An anonymous Australian couple has ignited a huge controversy after abandoning a baby they had using a surrogate because he had Down syndrome and taking his healthy twin sister back to Australia with them. Because humanity just wasn't insufferable enough. Pattaramon Chanbua of Thailand agreed to be a surrogate for the unnamed Australian couple in question. According to Sydney Morning Herald, Pattaramon discovered she was having twins three months after being injected with the Australian woman's fertilized eggs and was promised an additional sum of money. The next month they discovered one of the babies had Down syndrome. When the agency informed the Australian couple, they said they were not going to take the boy and allegedly asked her to have an abortion—which she refused. "Why does he have to be abandoned while the other baby has it easy? I feel sorry for him. I don't know what to do. I chose to have him, not to hurt him. I love him. He was in my tummy for nine months, it's like my child. I treat him like my other children, never think you are not my child and I don't care for you, never." There is currently a Go Fund Me campaign called "Hope for Gammy" that has raised $172,745 of their $300,000 goal. Not only has this sparked ire and debate within the surrogacy community, but on an international scale as well. Thai officials have maintained that commercial surrogacy is illegal in the country despite the huge lack of regulation, and Australian groups are worried that Gammy's story may lead to an intense crackdown or all-out ban on international surrogacy. Australian Prime Minister Tony Abbott has commented, calling the situation an "incredibly sad story," saying, "I guess it illustrates some of the pitfalls involved in this particular [surrogacy] business." But as director of the nonprofit, Families Through Surrogacy, Sam Everingham describes, this is not a completely isolated case and part of the solution requires informing would-be parents of the potential risks as well as creating better infrastructure and regulation in general. Mr. Everingham said Gammy's case showed ''the need for couples to be counselled before they go into any surrogacy, to ensure they know the risks they may be faced with that could lead to these situations". "It's a really sad story but not the first case we have seen in this area," he said. "There have been recent tragic cases of foreign parents not accepting disabled children born through surrogacy." Image via Hope For Gammy GoFundMe page.